Paul C. Buff has announced the launch of its new redesigned website and online store. 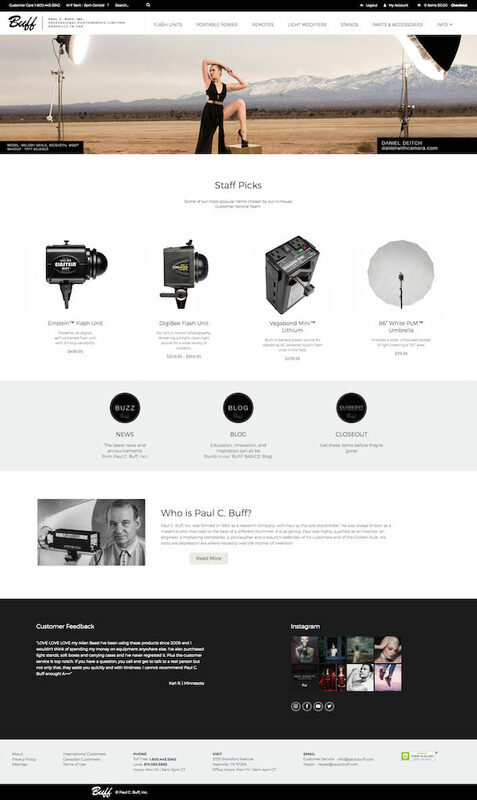 The photographic lighting company’s site provides an improved user experience, with new features. Among the highlights are a cleaner design with expanded content. Products are easier to locate, with more detailed information, and easier to order through the revamped online store. Mobile responsiveness has been improved, as well. The website also provides educational resources that will continuously evolve, in addition to a new feature, the ability for Paul C. Buff photographers to share the images they create with the lighting company’s gear. Check out the new Paul C. Buff website. Nashville, TN – Paul C. Buff, Inc. announces the launch of their new website and online store. The website was a highly-anticipated project that will provide users with a clean, uncluttered design incorporating improved functionality and enhanced content. To view the new website visit www.paulcbuff.com. 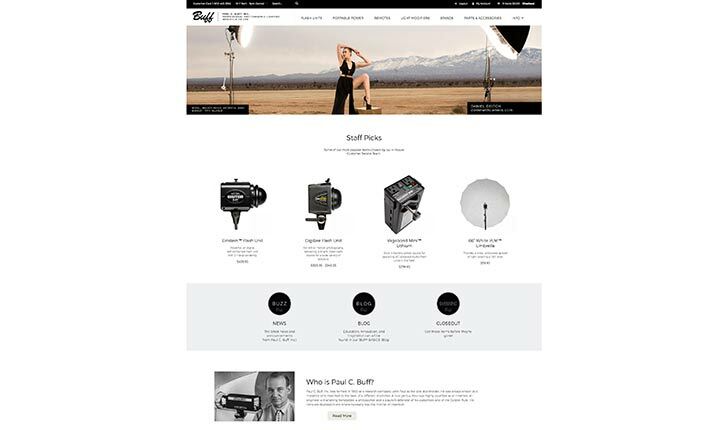 Paul C. Buff, Inc. is a photographic lighting company in Nashville, TN. Providing affordable, dependable, and versatile products to beginner and professional photographers alike. With nearly 30 years in the industry, and outstanding customer service, we pride ourselves on being innovative, authentic, and personable as we grow alongside our customers.